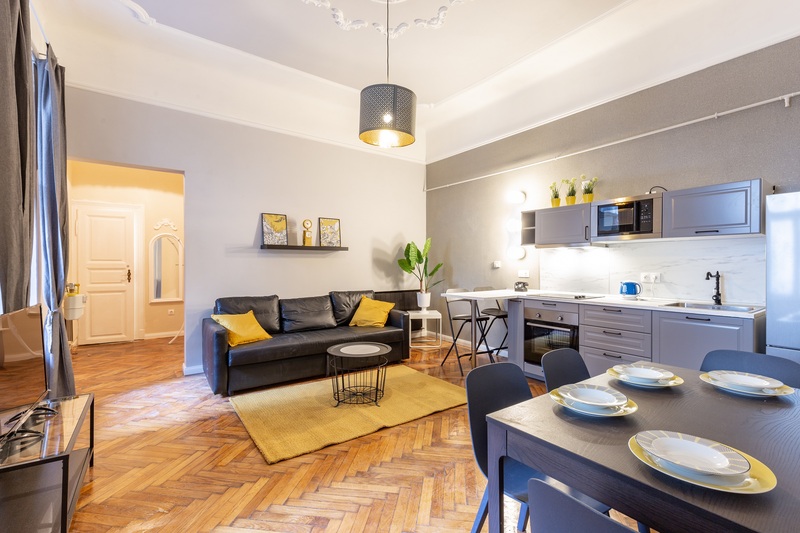 65 sqm recently renovated fully furnished 2 bedroom , 2 bathroom flat on 2nd floor without elevator on corner of Csengery utca and podmaniszky utca , district 6 is available from now for long term rent. 2018 Maniv Budapest. All rights reserved.